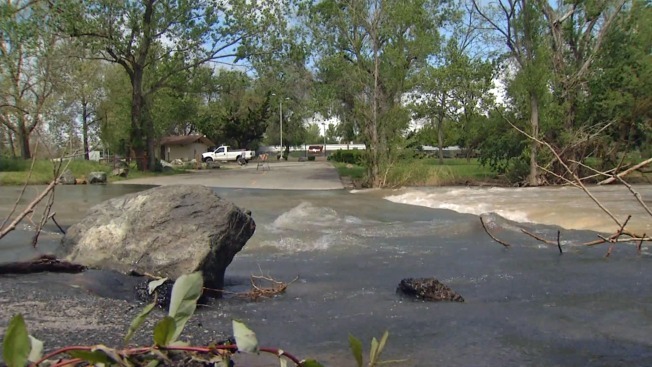 Experts are still assessing the damage from the February San Jose floods, and parts of some popular parks will remain closed while cleanup continues. An access road at Hellyer Park remains underwater, which means many visitors will be looking elsewhere to celebrate the Easter weekend. The city of San Jose and Santa Clara County have spent countless hours and dollars repairing and decontaminating damaged parks, but some sites were affected more than others. "We've got a lot of work to do," maintenance worker Lou Trevino said of the Hellyer Park cleanup. "We have three sites that all the tables are gone. And they were anchored into the ground. And then we have a group site that had 30 tables, and those are all gone." The access road to those picnic areas remains underwater. The Silver Creek picnic area at Lake Cunningham Park also is still partly underwater. It will leave many families disappointed on Easter Sunday. "Me and my family, we like to gather there, play volleyball," one resident named Jimmy said. "Kind of disappointed to see that. We were planning something big this weekend." Workers spending time on flood repairs and cleanup means they’re not performing routine maintenance at other parks, all because of the storms that continue to leave their mark. Meanwhile, the Santa Clara Valley Water District was set to hold a community meeting Wednesday night at the Franklin McKinley School District board room to provide an update to affected communities.